On Kanye West and Jay-Z’s “H.A.M.”, an angelic yet haunting operatic voice cuts through the hard-hitting verses of the legendary duo. Lex Luger, the track’s producer, took the classical motif one step further, adding a subdued piano arrangement to setup the track’s dynamic conclusion. Now it seems, at least part of the classical music community is prepared to loosen their cummerbunds a bit and reciprocate the hip-hop love. 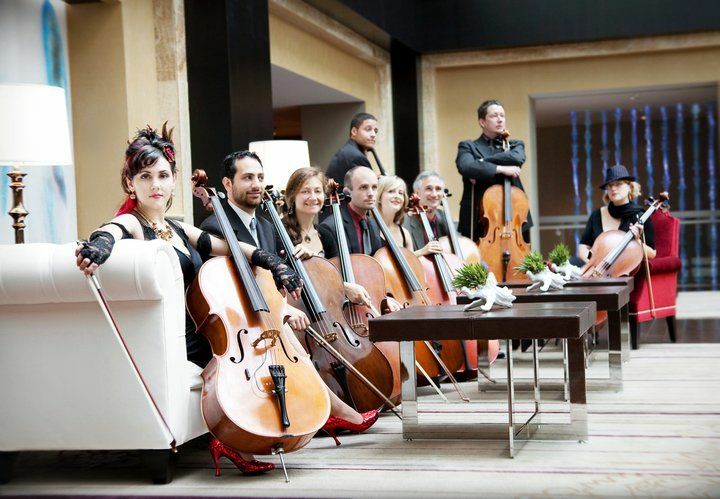 On May 1st, the Portland Cello Project will release the genre-bending Homage, which features orchestral covers of hip-hop favorites including Lil Wayne’s “She Will”, Kanye West’s “All Of The Lights”, OutKast’s “Hey Ya”, and an epic take on the previously mentioned “H.A.M.”. PCP’s arrangement of “H.A.M.” swaps the original’s raucous male vocals for an aggressive, but balanced, cello dialogue. The early tension is heightened by a series of quick horn runs, and alarming percussive blasts. Think of it as Baroque meets the streets of Brooklyn. Listen to the track below. The outfit will celebrate the release of Homage with a CD release show April 13th in front of their hometown crowd. The tour then zig-zags across the country, wrapping June 27th in Philadelphia. Multi-instrumentalist, and fellow hip-hop meets classical artist, Emily Wells will open during portions of the tour. Peep the entire list of dates following the track.